There are several kinds of meta tags, but the most important for search engine indexing are thekeywordsmeta tag and the description meta tag. The keywords meta tag lists the words or phrases that best describe the contents of the page. The description meta tag includes a brief one- or two-sentence description of the page. Both the keywords and the description are used by search engines in adding a page to their index. Some search engines also use the description to show the searcher a summary of the page’s contents. Now, unlike meta keywords, the meta description is still useful and important. The meta description is displayed in Google’s search results as the text below your main link. In other words, treat the meta description as your elevator pitch to Google searchers: why should they click your link rather than the other 9 links on the page? I won’t go into too much detail on this subject . The key points to remember: make them unique to each page, keep them short, and write to entice users, not search engines! 1.Just Go To Blogger Dashboard. Before Making Any Change In Blogger HTML Just Backup Your Template. 4. Here Is The Code You Have To Add. DESCRIPTION HERE :Write your blog description. KEYWORDS : Write the keywords of your blog. AUTHOR NAME : Write the author’s name. 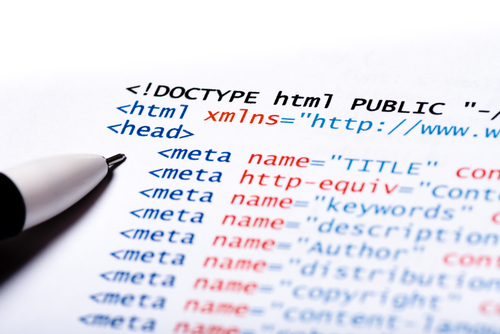 5.Add Above Code Just Before The Head of your Blog. If Any Problem Comes Please Ask In Comments. Yogesh mandge is a passionate 16 Year old emerging Blogger From Jabalpur, Madhya Pradesh.It is his First Post on Technosphere as a guest Blogger on Blogging and its Benefits.if you Liked the post you can contact him on his email at onlinecracker2@gmail.com. or Follow him.